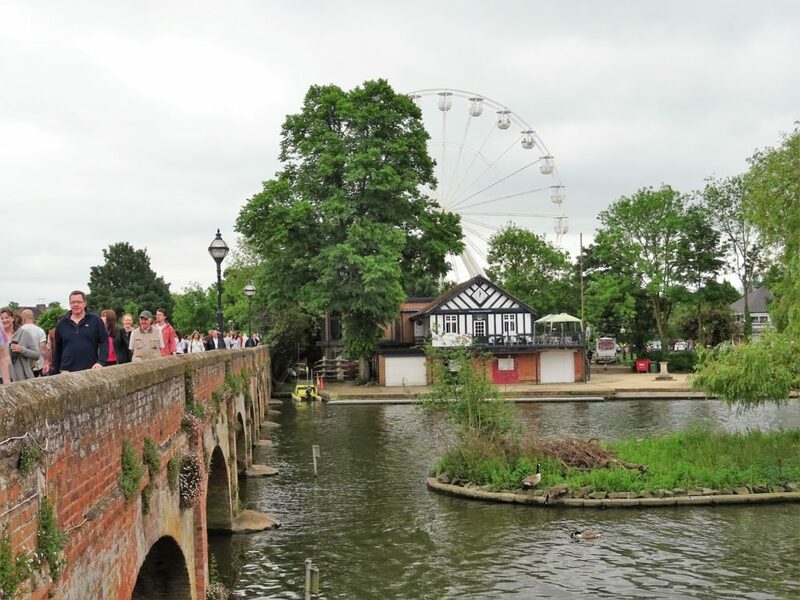 Stratford-upon-Avon is only 2.5-hours away from London, which makes it it easy to plan a quick one-day trip. 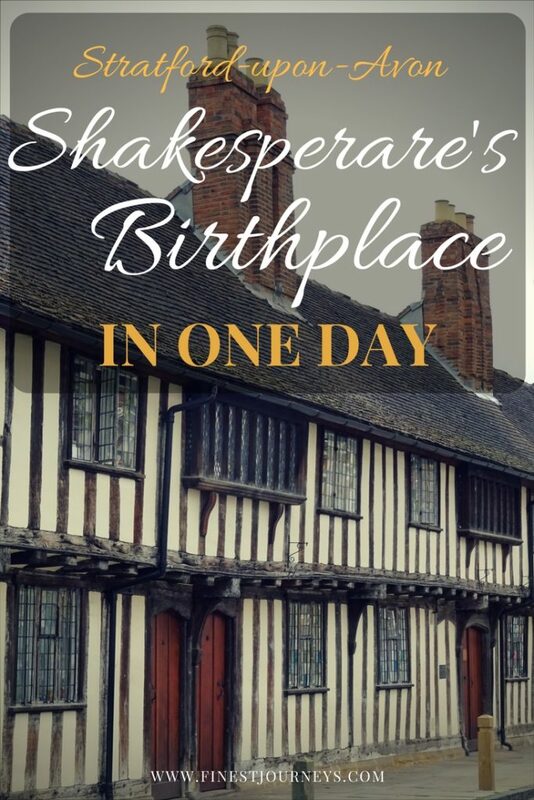 Read more to find out what to see and do in Shakespeare’s Birthplace in one day. After a 2.5 hours car (or train) ride from London, nothing is more fulfilling than a freshly made burger in the street market. 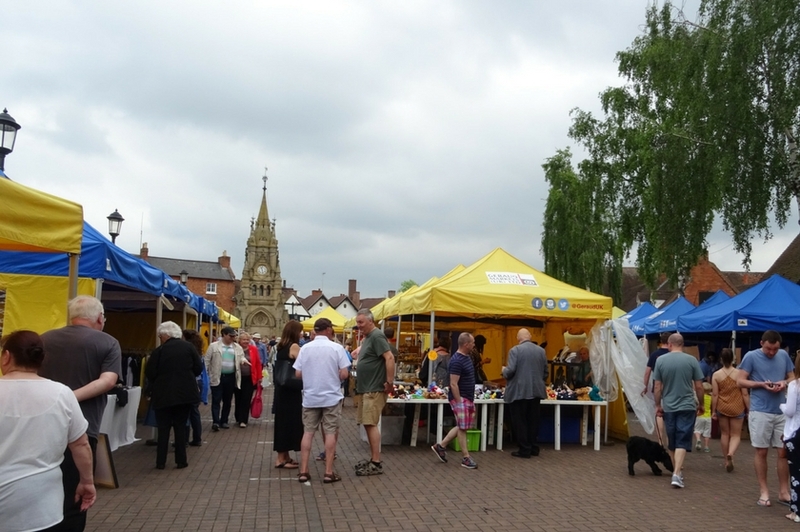 If you’re visiting during the weekend, you will find a street market right by the American Fountain – a gift to the city by the American George William Childs in dedication to William Shakespeare. Besides food, in this market you can also find antiques, clothes and handmade soaps and toys. These make great (and unique) souvenirs to bring home to family and friends. Walking down Wood and Bridge Street, you will find the Canal Basin and Gower Memorial. 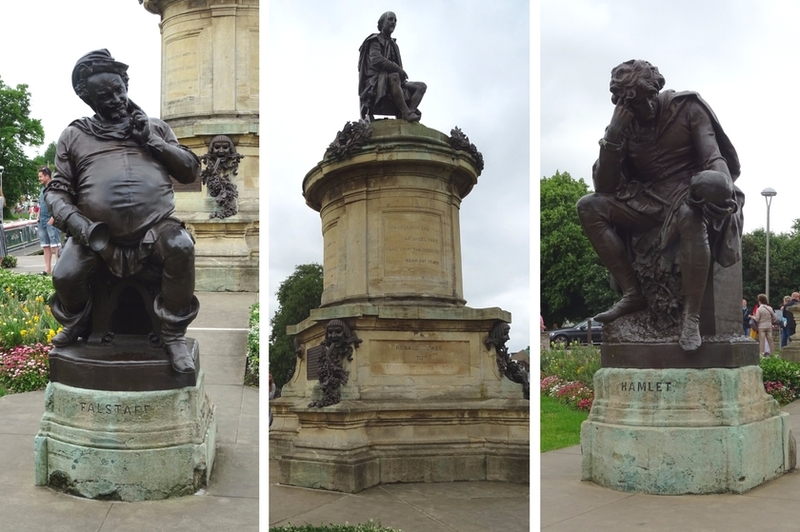 The latter is a Shakespeare Memorial created between 1845 and 1916. In the memorial, the author’s statue is in a pedestal overlooking his literary characters. Continue to explore the memorial and gardens around the Canal Basin until you reach the foot bridge and cross it to the other side of the river Avon. There’s plenty to do on this side of River too. If you prefer to relax, enjoy a peaceful waterside walk or lay down on the grass of the extensive park. But if you travel with kids, they will love the mini golf course or a boat ride down the river. The trip saves you the long walk back to the bridge and it’s a unique experience! The classic old chain ferry was built in 1937 and it was one of the last ones built in Britain. The ride costs 50p per person and it lasts about 5 minutes. A 3 minute walk from the foot bridge takes you to the Royal Theater. Being one of the most robust and imposing buildings in the area it’s hard to miss! Visit their Shop to buy all kinds of Shakespeare-related books, posters, stationery, … Our favorite is the “2B or not 2B” pencil. If you’re staying the night and want the full Shakespeare Experience, don’t forget to buy tickets for a play at the theater. 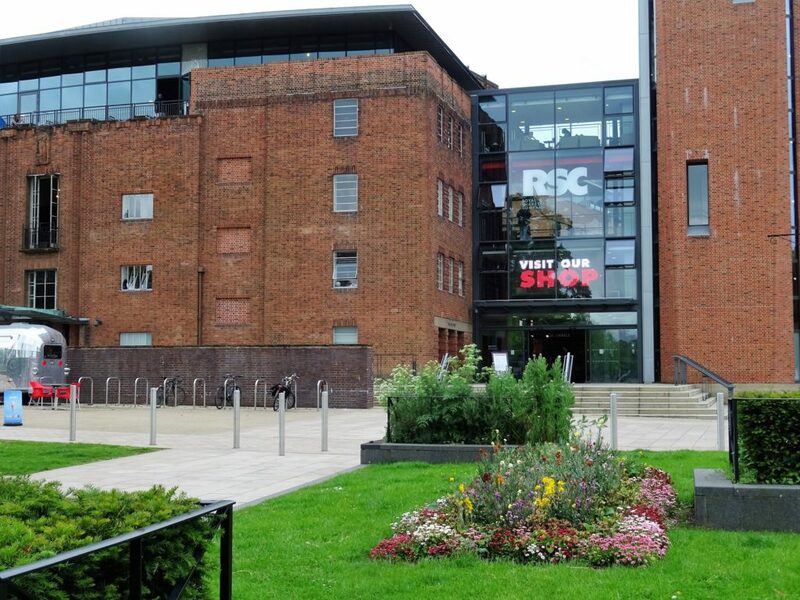 Plays usually run after 7pm (with matinees on Sundays). Make sure you book a hotel for the night ahead of time! We don’t know if Shakespeare was a good baker (probably not) but there are still plenty of delicious British pastries you need to try while you’re in the country. We suggest going to Huffkins Bakery and sit down for an afternoon tea or takeaway to enjoy later. 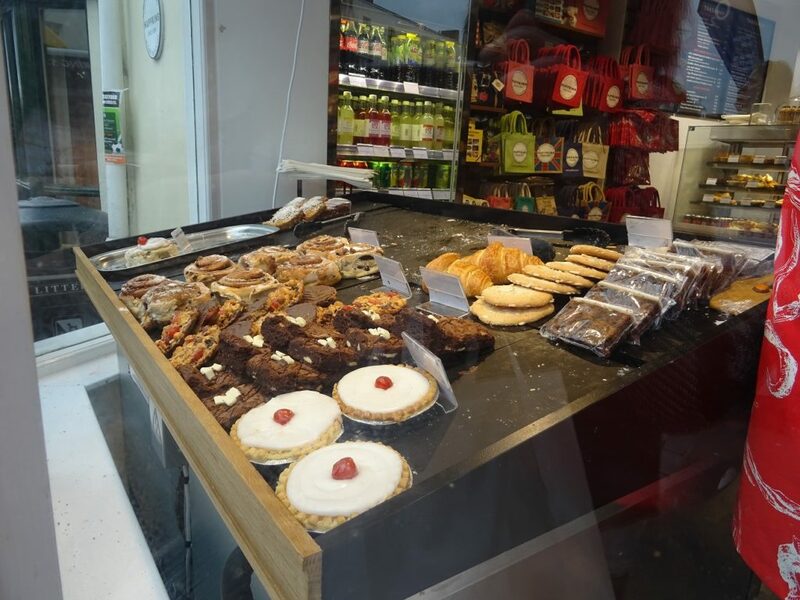 Try the infamous lardy cake (traditional fruit cake), the bakewell tart (made with almond paste) or the Chelsea Bun (similar to the cinnamon bun but filled with fruit and jam instead). Experience the environment that shaped Shakespeare’s early life. 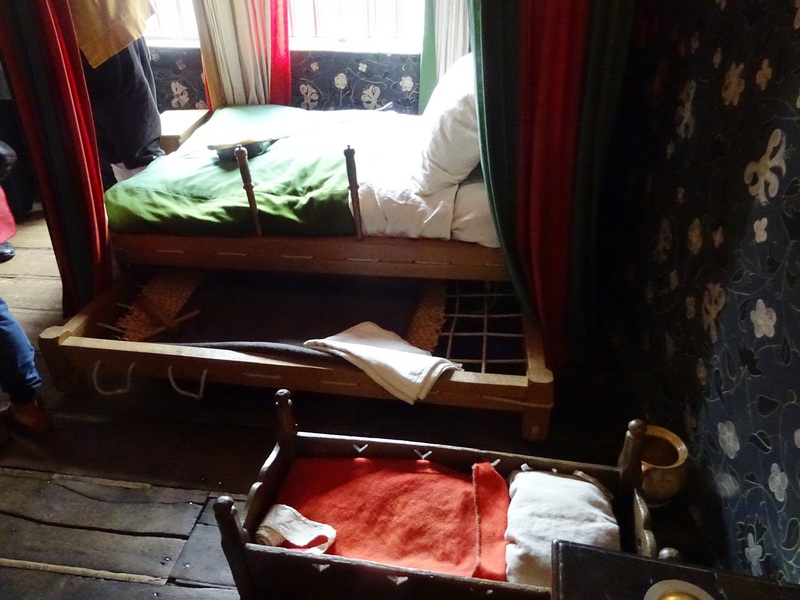 Be amazed by the 16th century house design and learn more about the customs and lifestyles of that time. You will also see his father’s glove-making workshop (touch and feel the gloves) as well as the room where Shakespeare was born. Don’t be afraid to interact with and ask questions to the costumed guides that are in almost every room. Visiting the house will take you approximately 1 hour. You can avoid the most busy times by going in the mornings (before 12pm) or after 3pm (last entry is at 5pm). 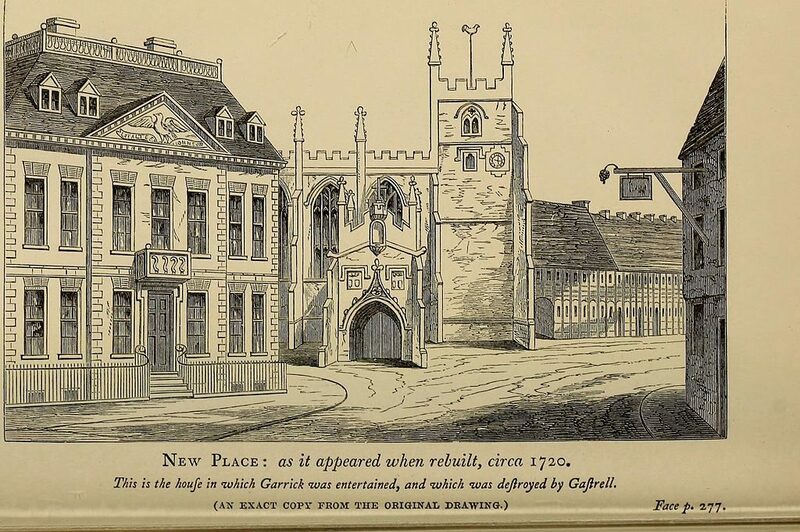 This was Shakespeare’s family home for 19 years (until he died in 1616) when he was already an established playwright and moved back to Stratford-upon-Avon. The house was demolished in 1759 and a registered garden has been designed to reveal the footprint of the original family home. 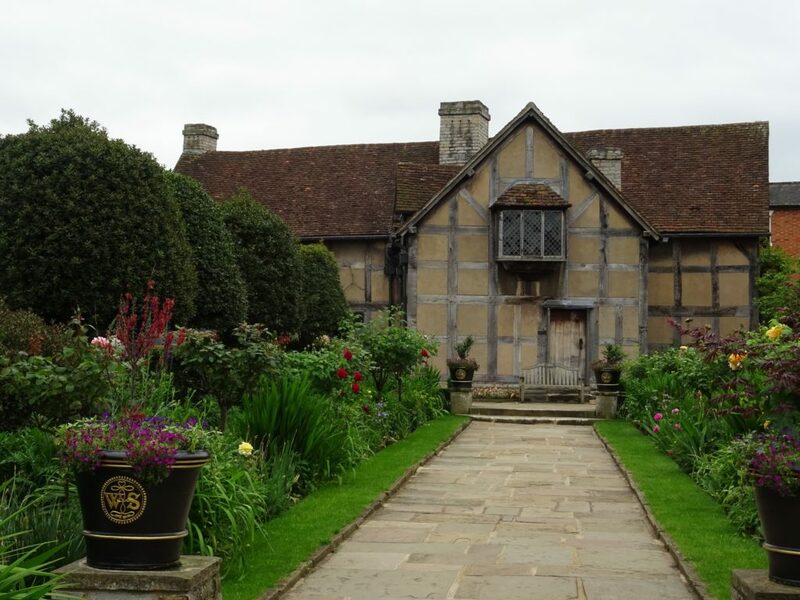 Both the Gardens and the inside exhibitions transport you back to Shakespeare’s family life and hint at the major works that were written in the years he owned and lived in New Place. Hall’s Croft was the house of Shakespeare’s daughter and her husband, Dr John Hall. It was a wealthy and luxurious home decorated with Flemish paintings and fine furniture. After a tour of the house, rest in the beautiful and fragrant walled garden or treat yourself to a tea in the Café. 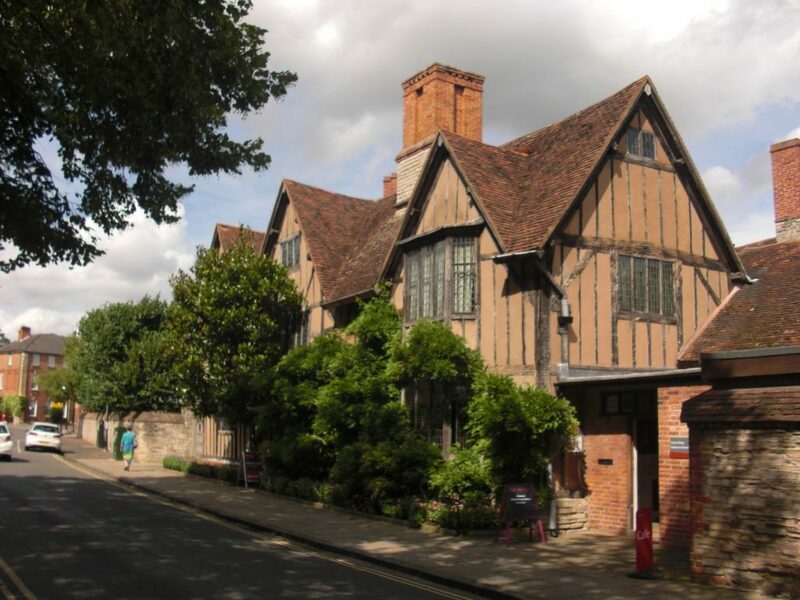 With the Town Pass (sold in any of the Houses) you can visit the three Shakespeare Homes mentioned in this post ( all located in the city center). If you have more time to explore, you can also buy multi-house Passes for the other Shakespeare Family Homes that are a short ride away from city. 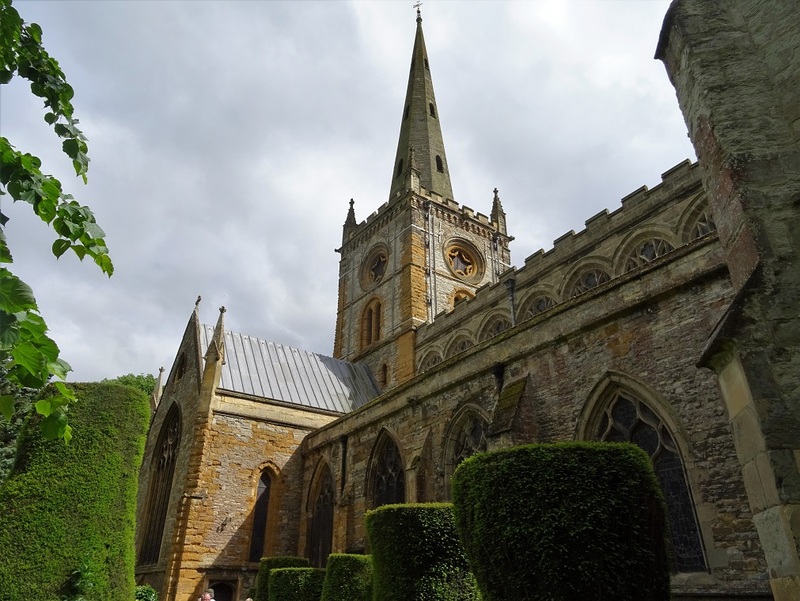 A 5-minute walk from Hall’s Croft takes you to Holy Trinity Church, where Shakespeare was baptized (1564) and buried (1616). The Church is open to visitors and receives over 200,000 tourists every year. Shakespeare was himself a frequent visitor of the Holy Trinity, coming every week during his childhood and while he lived in New Place.